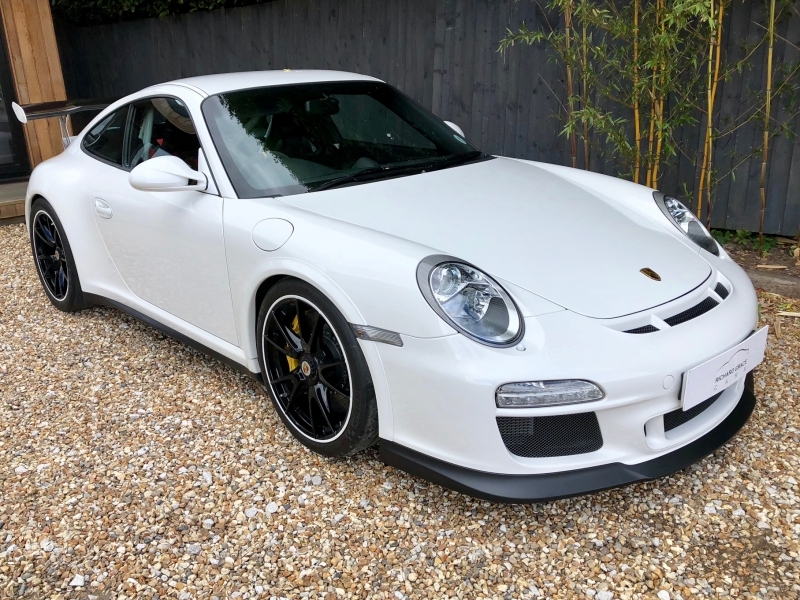 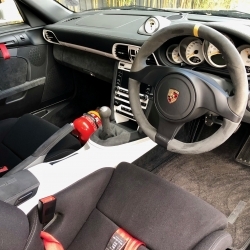 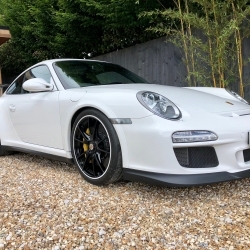 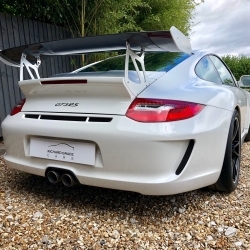 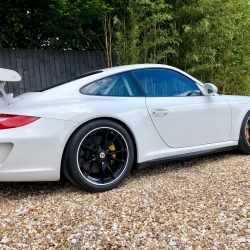 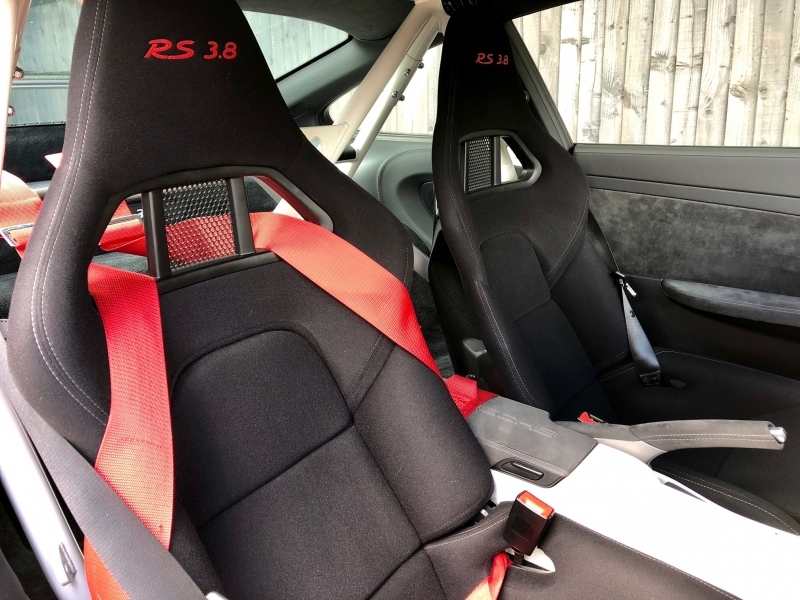 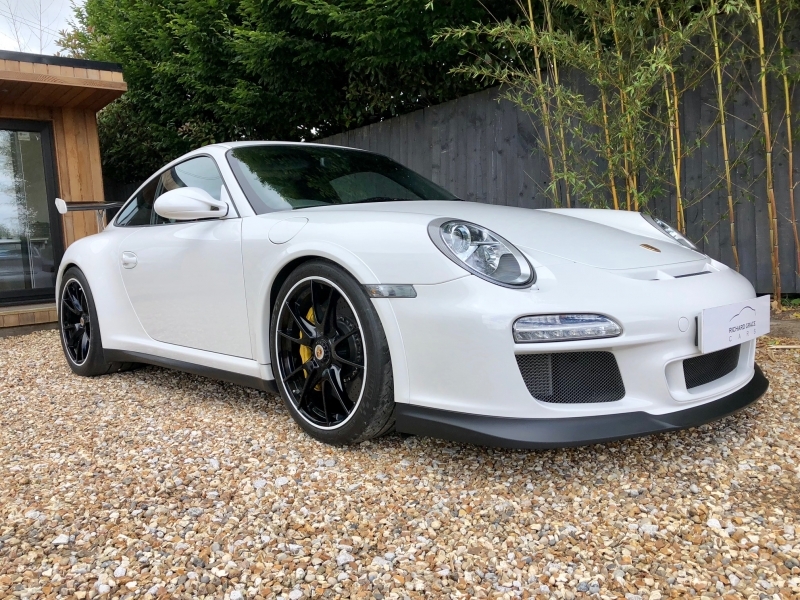 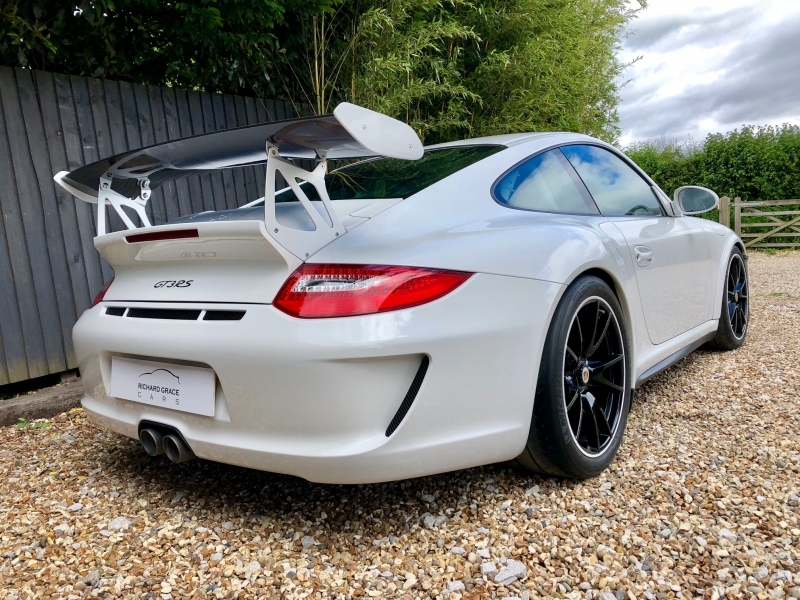 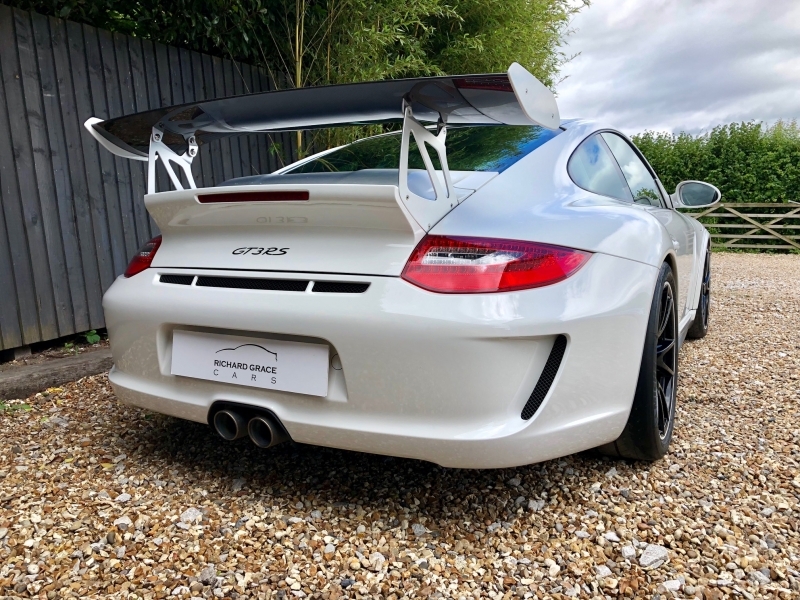 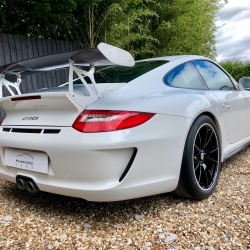 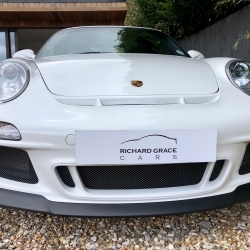 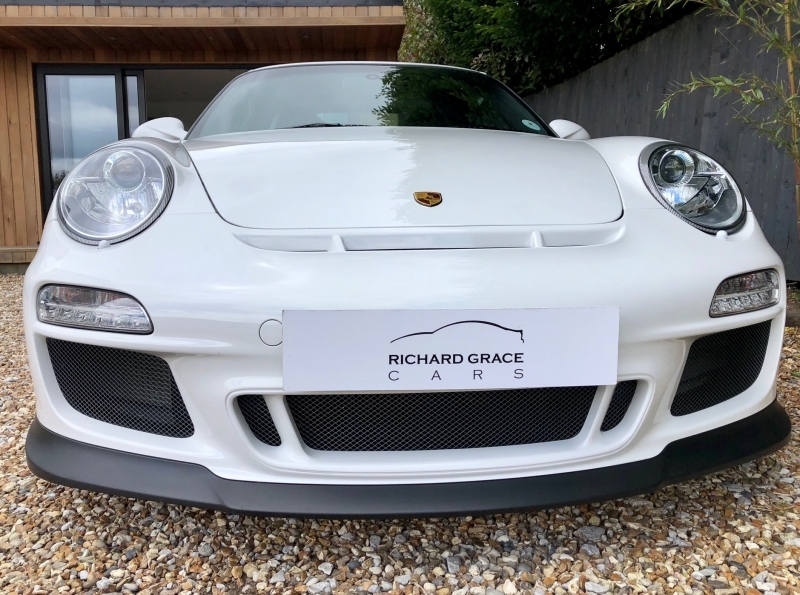 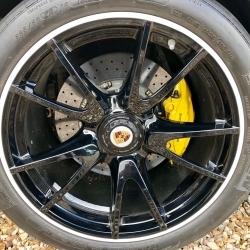 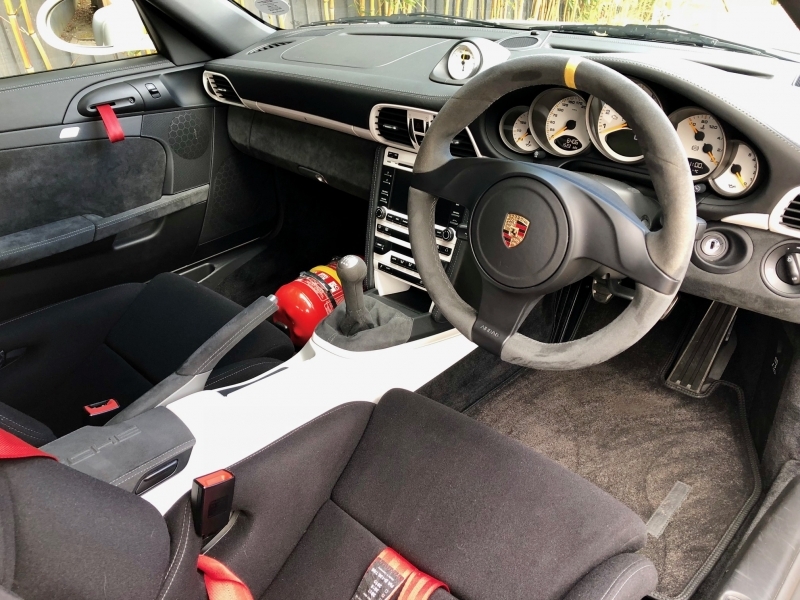 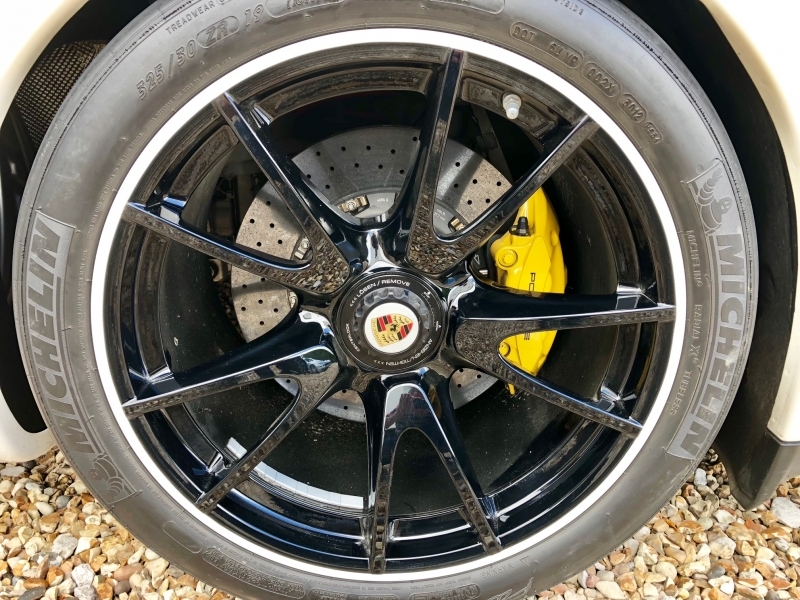 For sale is an absoultely pristine example of the Porsche 911 (997) GT3 RS, described by Porsche service in Reading as the best one they've seen. 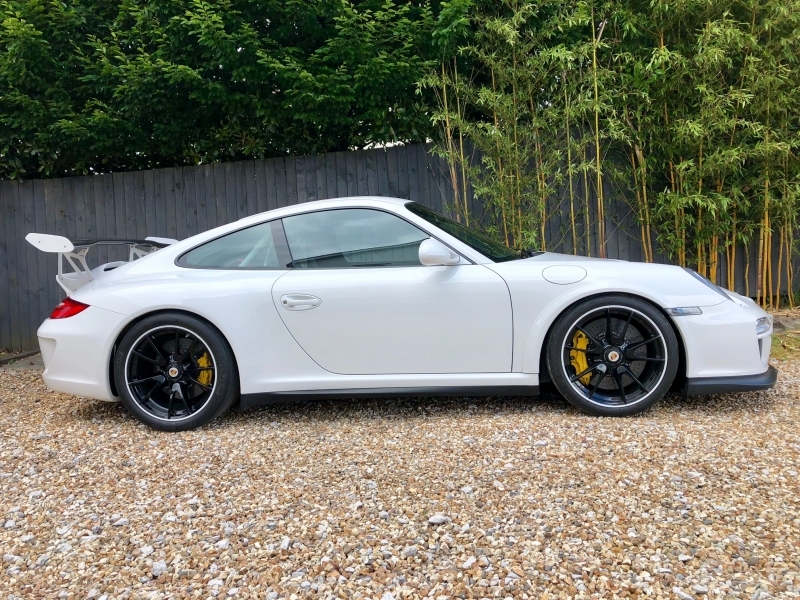 Presented in Carrera White with Black Interior, this stunning example has been specified with all the most desirable options and some special order items requested when new as an 'Individual Option' from Stuttgart. 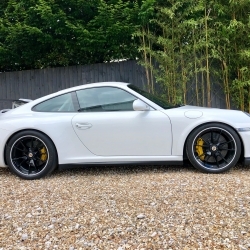 The Individual options are as follows: Extended Leather Package with contrasting white stitching, Painted PCM Package, Steering Wheel in Alcantara trimmed specifically to the customer's specification, Instrument Dials and Interior Trim in Carrera White, Carrera White Sports Chrono Package Plus, Silver Wheels edged in Carrera White, Deletion of Decorative Decals and a Carrera White Rollcage. 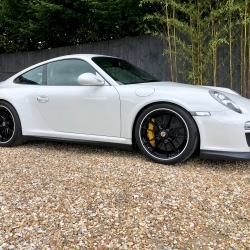 The other options are as follows: PCCB (Ceramic Brakes), Grey Top Tint Windscreen, Universal Audio Interface, Cupholders, Sound Package Plus, Alcantara Sun Visors and Storage Bin Lid, Floor Mats with Leather Trim, Belt Outlet B-Pillars Painted, Decorative Gear Lever Trim, Headlamp Cleaning System Cover, Three Spoke Steering Wheel, 3 Point Harnesses in Red, and finally, a telephone module. 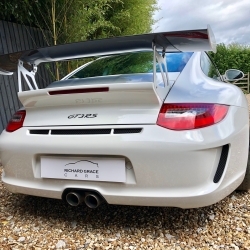 The car also has the Porsche GT3 RS indoor car cover. 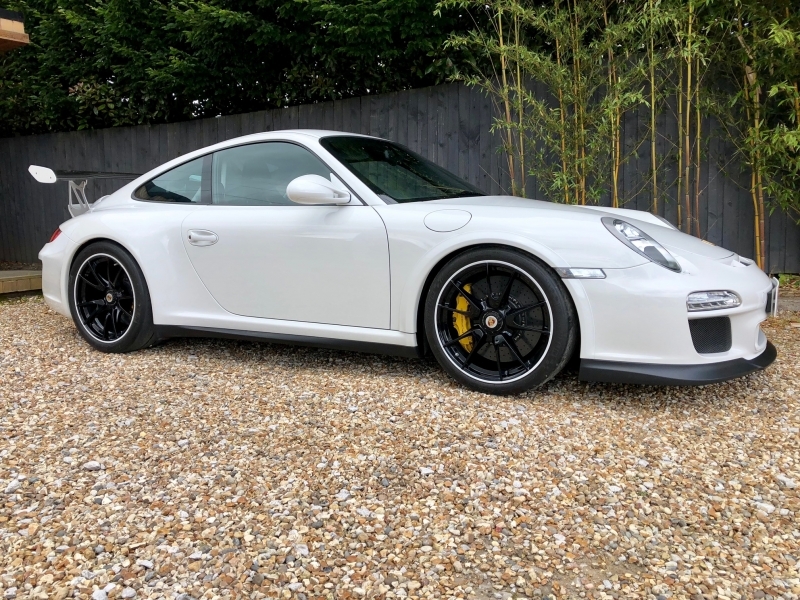 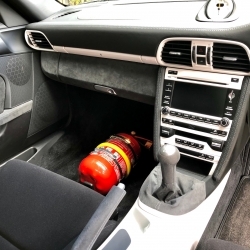 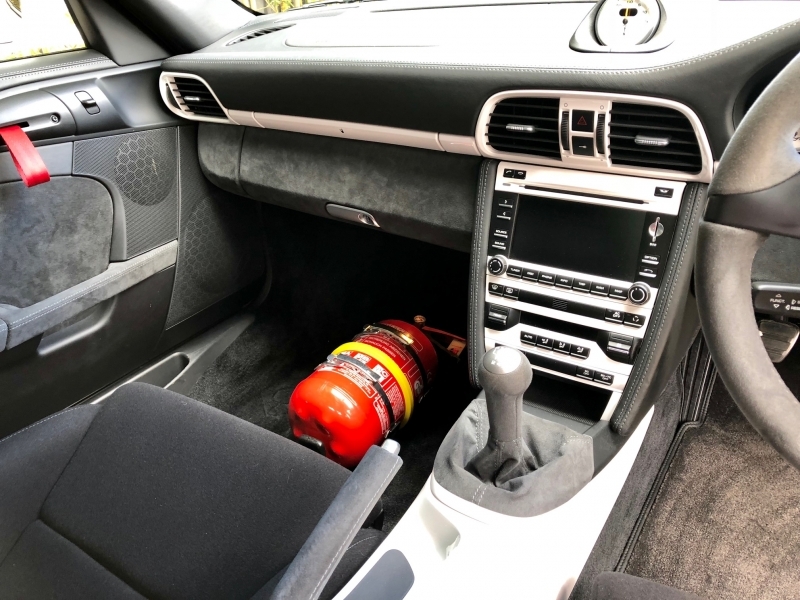 It has a full OPC history and has just had a service and inspection completed at Porsche HQ Reading who commented on the stunning condition of the car and the fact that car had never been used in the wet. 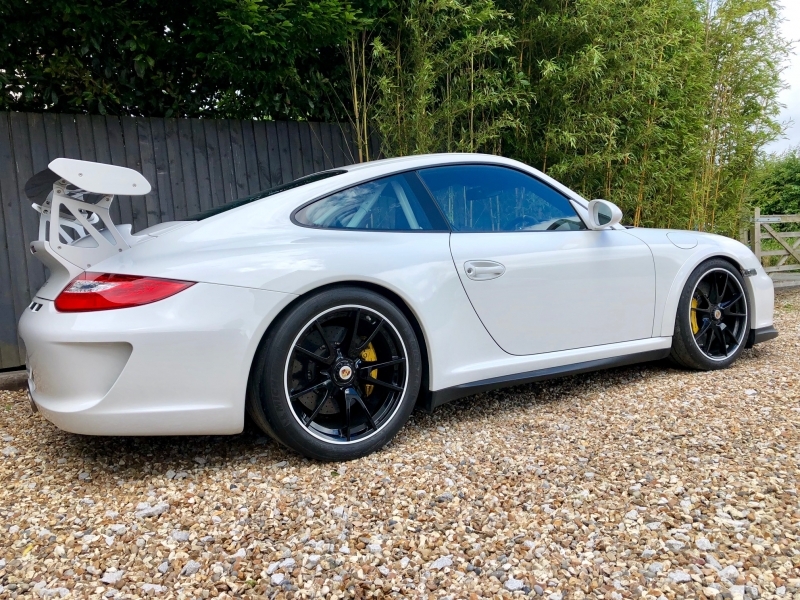 It has been wrapped in self-healing PPF (Paint Protection Film) at a cost of £3000 and also has VTS Tracking System fitted. 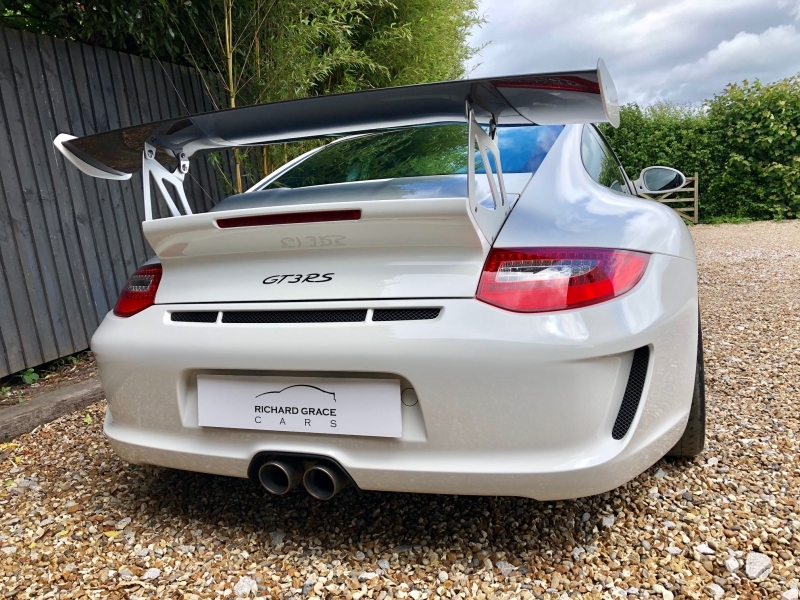 This is not just any GT3RS, it has been owned by prominent Porsche Club members and has been fastidiously maintained at OPC's. 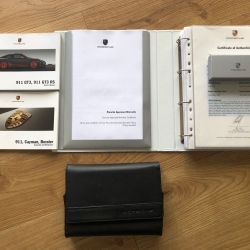 All of this is in a huge history file which documents every single thing from new. 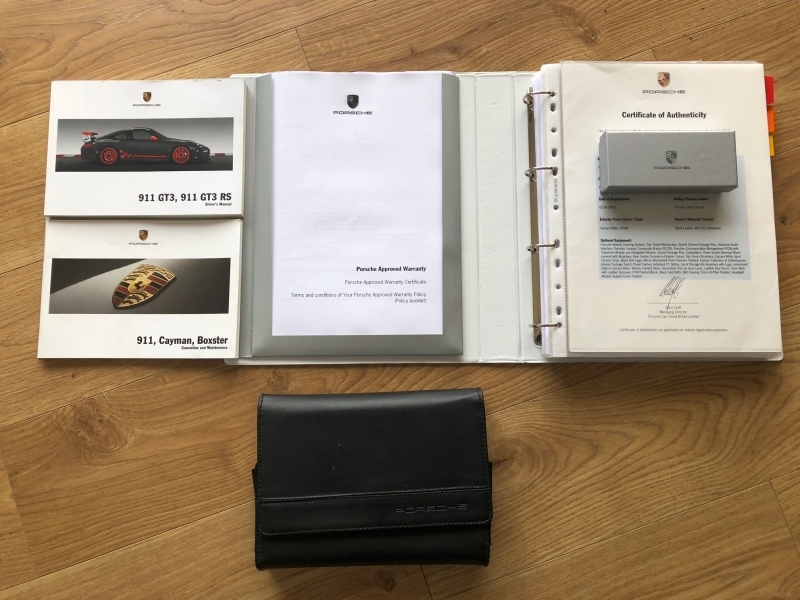 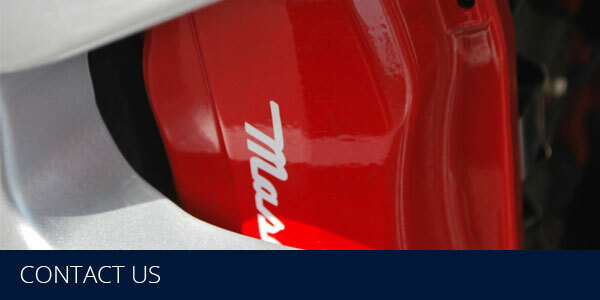 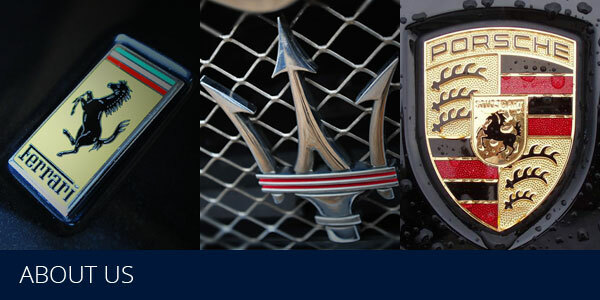 Price shown includes remainder of warranty until July 2019, PX welcome and extremely competitive finance can be arranged.